Have you ever memorized a verse, and then years later realized it didn’t mean exactly what you thought it did? Unfortunately that happens all the time, and it can lead to frustration, disappointment with God, and a warped view of God’s plan and purpose. I am an advocate of memorizing sequential verses in context rather than memorizing scattered verses. Think of it this way, if one of your goals is to get to know God better you will get a more complete picture if you memorize verses that go together. You won’t be getting fragments of truth, but whole truth, the way God intended for us to learn it. Many individual verses in the Bible are incomplete when memorized out of context. They leave out part of the meaning. 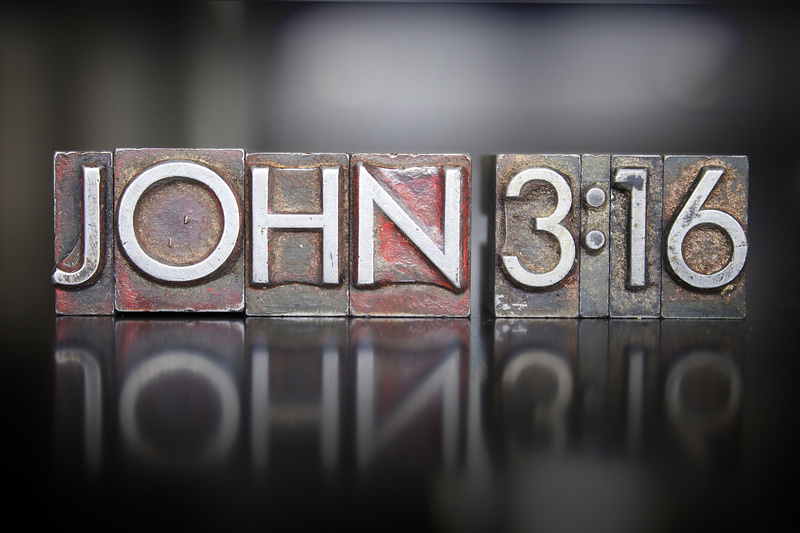 An example: the most familiar verse in the New Testament is John 3:16. Would you be surprised to learn that this one verse has given many people a false assurance of their salvation? This is tragic because the passage is intended to show the way of salvation. Many who claim John 3:16 as their assurance would say, “sure I believe in Jesus,” but they also believe in Abraham Lincoln and the American flag, and good sportsmanship and other high ideas. Their concept of believe, may not be a biblical one. These additional verses add tremendous insight and clarity. In today’s biblically illiterate society many do not know that Jesus is the only begotten Son of God, and John 3:16 does not mention him by name. Wrong thinking leads to wrong interpretation, which leads to wrong application. Memorizing in context helps to avoid a misinterpretation of key verses. Join the conversation. How have you benefited from memorizing in context? This is such an excellent example. You are so right. I thought I had this verse and meaning down but you know, after your explanation, I realize I was not getting much of the meaning at all. AND THAT IS ON A VERSE I THOUGHT I UNDERSTOOD WELL!! Eye opening. Hi Sheila, Here’s another example: Paul says, “I am not talking as the Lord would, but as a fool.” 2 Corinthians 11:17 Without the context who would want to listen to what Paul has to say? We need context to understand that since Paul’s readers are impressed by the boasting of others, Paul will speak the language that they understand—he too will boast of his credentials as an apostle. Memorizing in context is so rich because you can understand more what is being said and why. Great insight..and TRUE…Thank you for making this point. Wonderful Janet, thank you! The first chapter I memorized 20 years ago shocked me as I finally understood the verse that I thought I knew as well : “All things work together for good” (Romans 8:28) Thankfully, when I memorized it in school (I was well accustomed to memorizing one or two verses out of context) I did know that the entire verse had some qualifications to this amazing statement, “to those who love God, and are called according to His purpose” but, until I memorized the surrounding verses, I was amazed to see what God’s purpose all things are working together for- “to become conformed to the image of His Son, that He might be the firstborn among many brethren”. I was amazed to see that this well known and quoted (even by non-believers) told me that my circumstances main purpose is to be like Christ, and that Christ would be preeminent in my life and in the live of more people in the world. I had believed before, that this verse was just about things getting better in my life, for me; so just be optimistic; God will take care of it. Once I realized that I was so off, I was infected with the memorizing bug! Now 20 years later, have memorized over 50 chapters of Scripture. Thank the Lord for His precious Word. Heidi, I love that you are infected with the memorizing bug – me too! And I hope we never get over it. Psalm 34:17-19 have always been my go to verses for encouragement when life gets hard. One day I felt led to memorize all of Psalm 34. Meditating on the truths and promises within the other verses in Psalm 34, rather than just on my favorite verses from that psalm, has made Psalm 34 one of my favorite psalms. Had I just stuck with my three favorite verses from Psalm 34, and never went on to memorize the rest of it, I would have missed out on so many amazing insights into who God is–His incredible provisions and deliverance for those who trust in Him and His justice for those who reject Him. Memorizing Psalm 34 inspired me to study up on the background of Psalm 34: what events in David’s life brought him to the point of pretending to be crazy before the Philistine king? Such a neat study and a powerful psalm! I’m so glad I didn’t short-change myself by being content to only memorize my favorite verses from this psalm! Hi Brooke, I totally relate to everything you said. When I memorize the whole thing it comes alive and I’m always blown away at what God shows me about himself. Thanks for sharing that. Janet, this is awesome! I really agree with Heidi with Romans 8, memorized entirely, we will learn that there is so much more to what we might think is “good” for us. When I memorized Philippians 4, I was blown away by the truth that the famous verse about being able to “do all things” comes right after Paul is writing about learning to be content in all situations. Not because he was trying to win an Olympic medal. I would just like to comment though that I believe the Word of God is powerful enough to accomplish more than we understand. Even a little bit of scripture is better than none at all, and God can use it to draw men and women to seeking it more and more. I know He did that with this small minded woman who would never have believed that she could memorize chapters! You are right though, and it is important that we share this with others who have questions regarding something they are expecting from God, based on the words in one or two verses, we can share the rest of the chapter with them and help them to grow in their understanding of the Word of God. Hi Vickie, I totally agree that even one verse is better than none. All Scripture is God-breathed, every verse. Janet, I have seen an excellent example of just what you are saying explained so well by Mark Driscoll in his YouTube video “Do James and Paul contradict? and Do something” Regardless of ones opinion of the man, he makes an awesome point in the video, which goes hand-in-hand with what you just got finished saying. Context is so important, as is knowing the audience to whom is originally being spoken to. Hi Tony, Do you want to give us a link?